Want to learn how to avoid Vegas resort fees in 2019? It is getting harder as time goes on, but there are still a few ways you can save! A recap of the best posts and deals including a big loss for Priority Pass in one city, winning Arby's amazing Hawaii contest, making mistakes on a last minute trip to the Final Four & much more! A detailed review of food delivery service Uber Eats including the crazy excuse a driver had for not delivering my food! We recently flew all the way across the country only to discover one of our passports was expired! The day was stressful, but we learned a lot about how to get a same day passport! Have you applied for a credit card and been denied? Utilizing these credit card reconsideration strategies can help turn that denial into an approval! 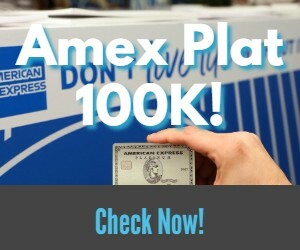 How to get the Amex Platinum Hertz 4 Hour grace period benefit & why it is one of the more lucrative and lesser known perks of the Amex Platinum card! I saved 50% on a recent trip because of it!